It is pretty easy to make your own denim headband using recycled jeans. And the best part is, it will cost you less than a dollar! You will also need an old pair of levis, preferably adult size. That way your strips will be longer. Cut a slit on the bottom of one of the pant legs. 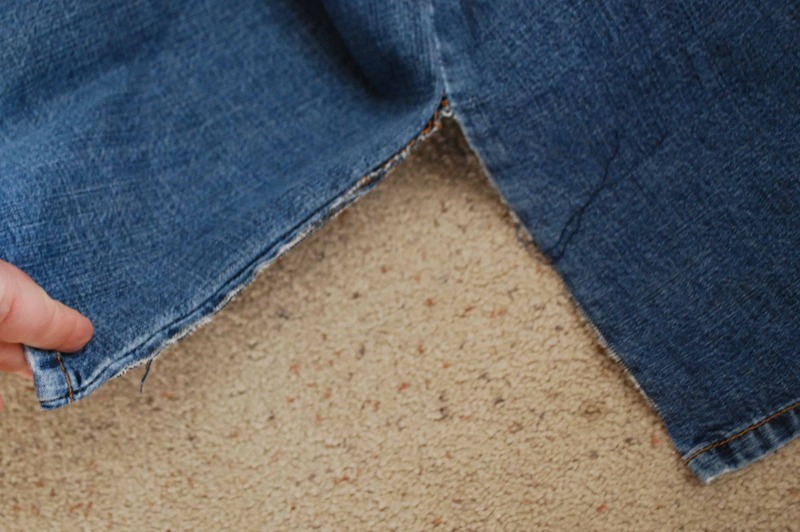 Now start ripping along the slit all the way up to the top of the leg, as far as you can go. Continue cutting slits about 1 1/2″ wide, and ripping them up the leg. 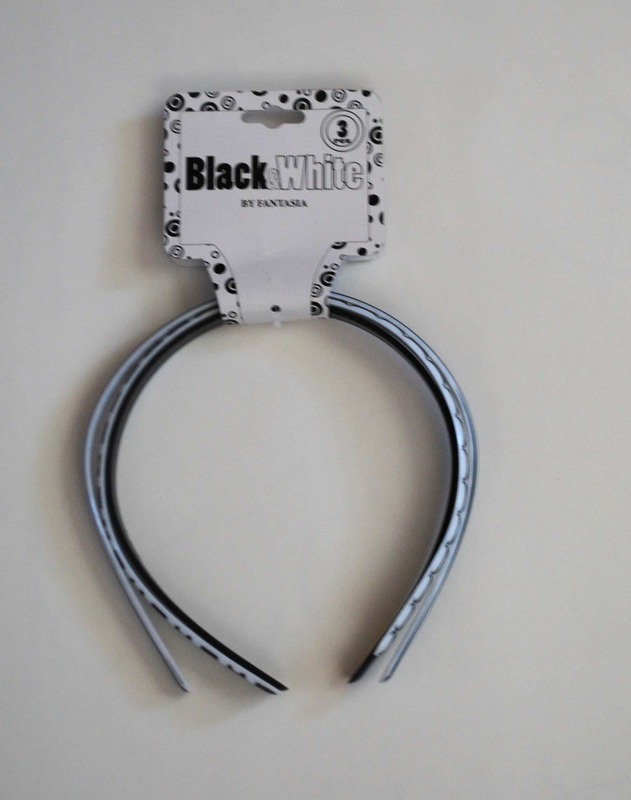 You will need three, one for each of the headbands. 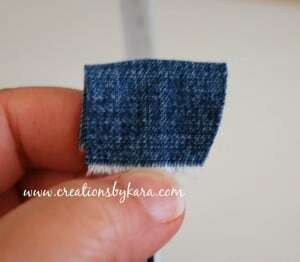 When you get to the top, cut each strip of fabric loose from the pants, and trim off the bottom hem. 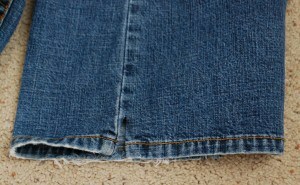 Then cut a small piece off of one end, about 3/4″ long. Repeat for the other tip of the headband. Next take your long strip of denim and lay it on your work surface. Place the tip of the headband close to the edge of the denim strip. 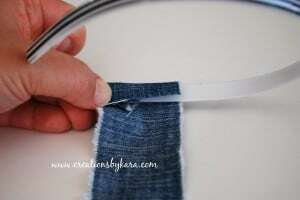 Wrap the denim over the headband and secure with hot glue. You can either wear it as is, or add some embellishments. 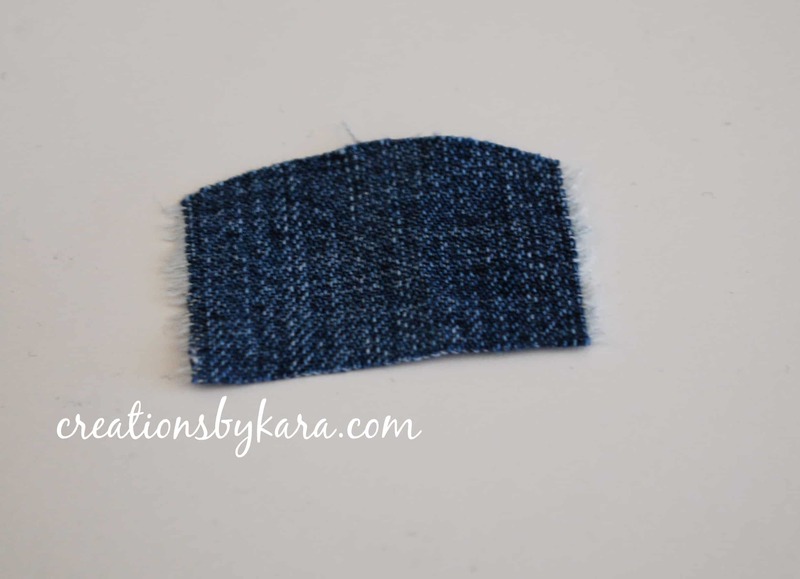 I added some denim rosettes that I made with the extra fabric from the pair of levis. 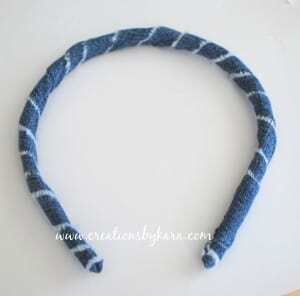 There you have it, a cute denim headband made from recycled jeans and a dollar store headband. Hi how do you make get rosettes please? 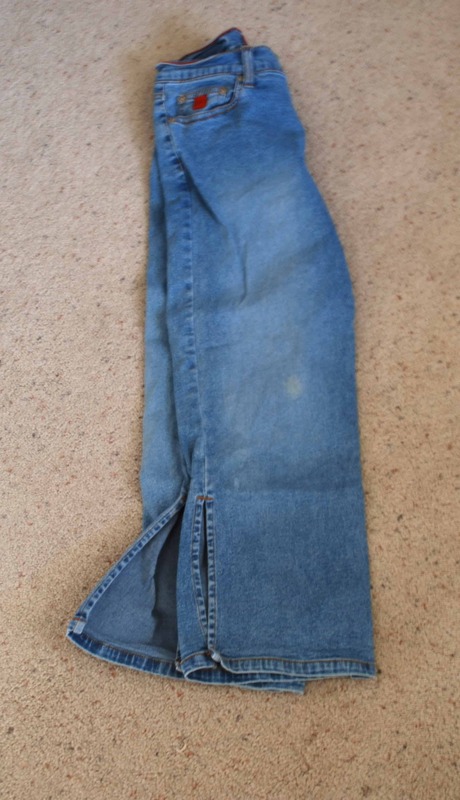 I cant make it since I have jeans I just dont have a old pair! 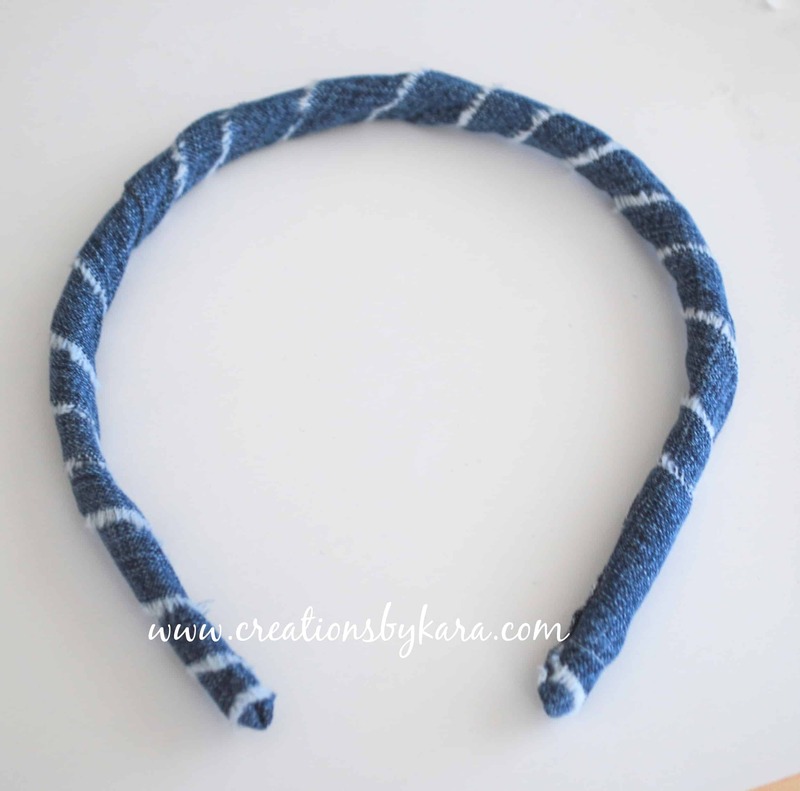 But that is a beautiful headband and I am amazed by it! Hi Kara! 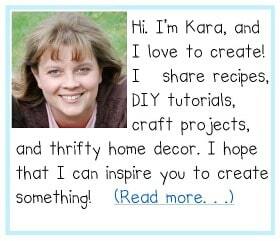 My name is Melissa and I’m the editor for FaveCrafts.com. 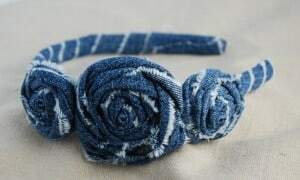 What an adorable headband! I’d love to publish this craft on FaveCrafts. I think our readers would love it! You can email me at mconner@primecp.com for more info. That’s a wonderful use of jeans. I want to try it out. Thanks for the lesson. 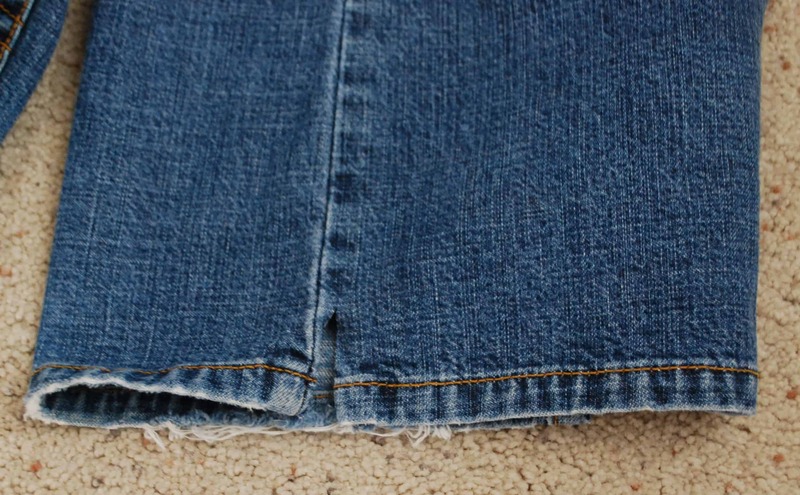 darnit – I literally have a HUGE box FULL of denim jeans that I have been collecting from family members for YEARS. But – I don’t know how to make rosettes – help?? Oh so cute! 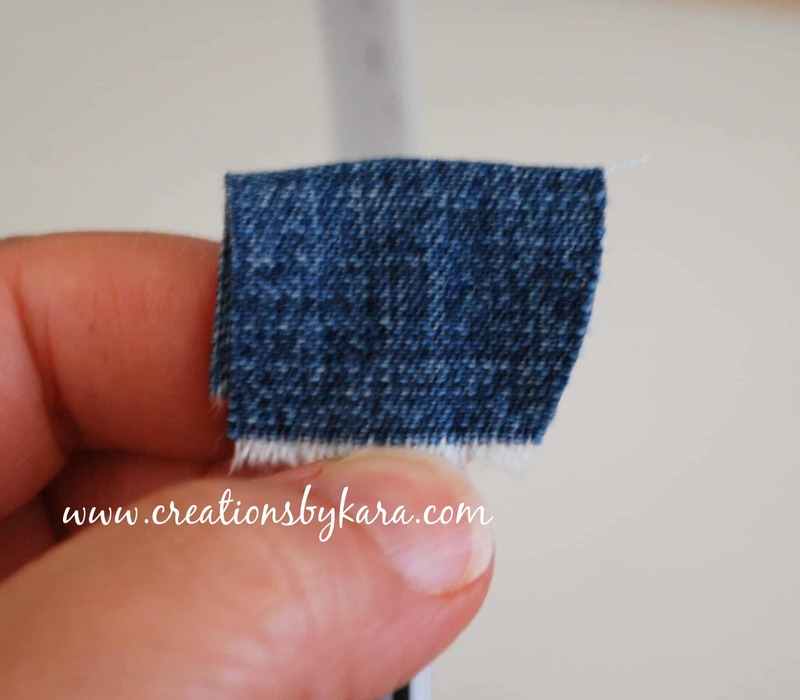 I love the denim look! I really need to try making some rosettes! Thanks for linking up to Hoo’s got talent! I love the look of denim in a rosette! Super cute! 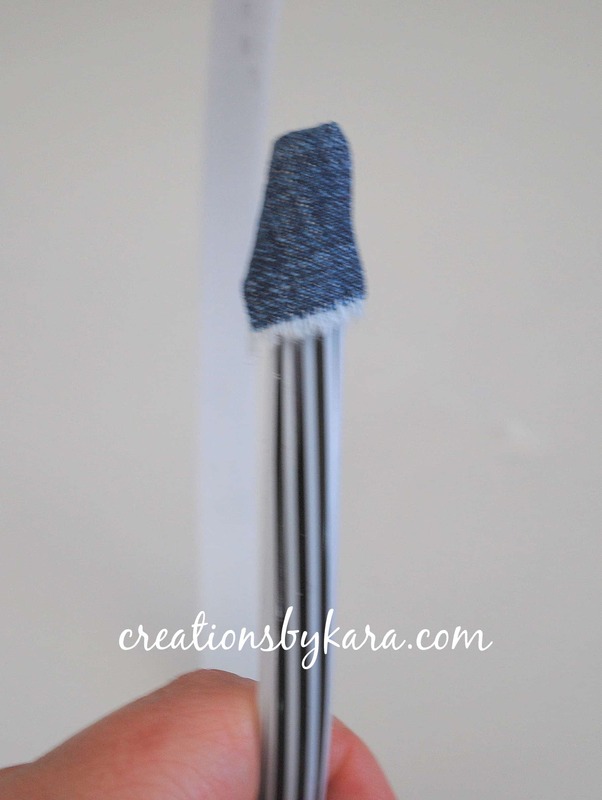 I will feature these at somedaycrafts.blogspot.com today! Holy cow thats so darn cute!! My 13 y/o walked by while I was reading this and begged me to make her one. So I guess it is time to hunt up some old jeans. Thanks for the idea. Nothing like a teenager wanting her mom to do things for her! Gotta take it when I can. Oh you so know I love this one! Might have to share this one with my readers! So very cute. 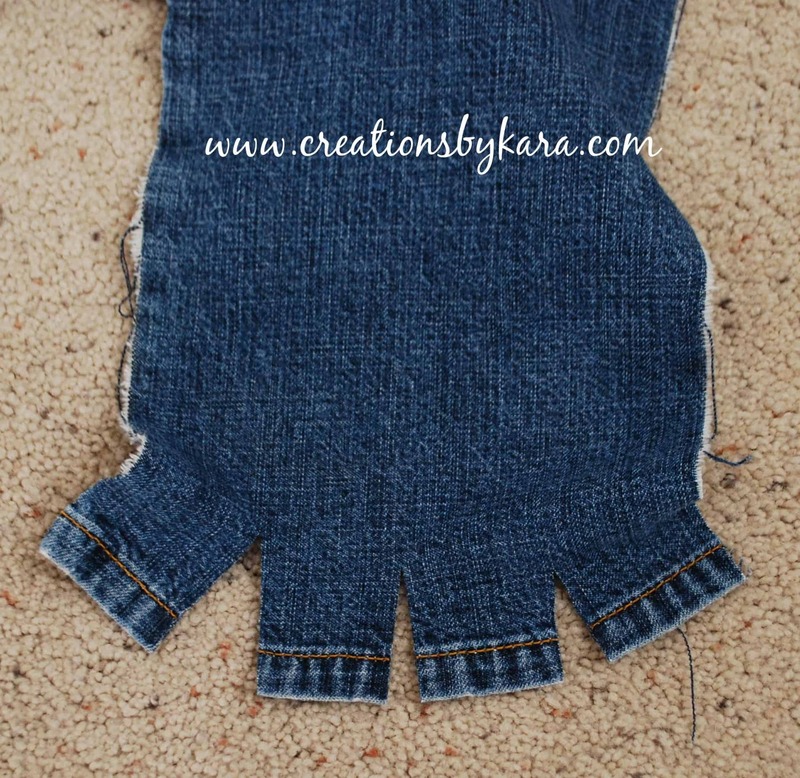 This is so creative – I have so many old pairs of jeans that need a good home. Thanks for the great idea! You’re welcome. Have fun making them!